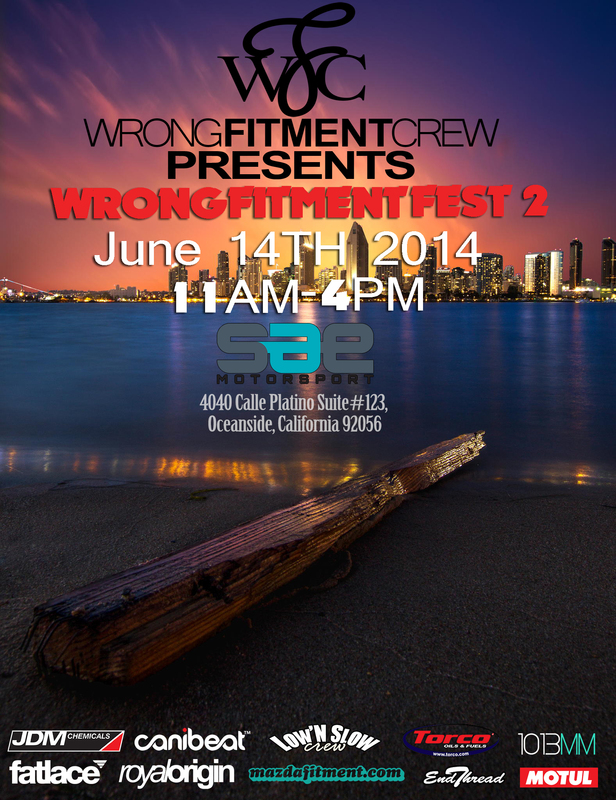 Our friends at Wrong Fitment Crew (WFC) are putting on their 2nd annual Wrong Fitment Fest at SAE Motorsports in Oceanside, California. Those that are not familiar with WFC should look forward to all things related to aggressive fitment on nearly every platform out there. WFC has been there since the beginning as a name dubbed by those that just did not understand; as you can see they are still going strong. Come enjoy yourself with some wrong fitment.